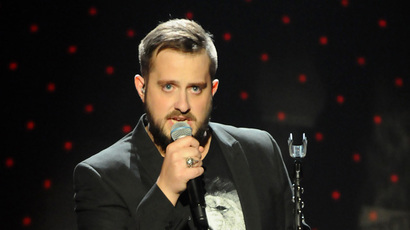 Tim Prottey-Jones is a multi-faceted artist. 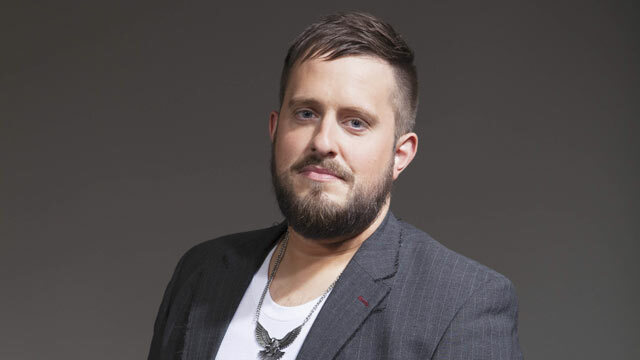 As well as being a finalist in the hit ITV show Superstar Tim is also a talented composer at the forefront of new musical theatre writing in the UK, a multi-instrumentalist and vocalist, oh, and producer too. It was a great pleasure and surprise that Tim actually had a minute in his schedule to talk to Glasgow Theatre Blog about his burgeoning career and his forthcoming appearance in Glasgow with the 20th anniversary concert tour of RENT. You’re a hard man to pin down: you first came to my attention when I was asked to write an article about young British composers, then of course you came to national awareness with ITV’s Superstar, but you also songwrite for artists, are a vocalist in a band, are a multi-instrumentalist and producer! I think we need to go back to your roots – can you tell us about your background and what set you on the path to such a diverse career? I have studied music throughout my life, from learning the piano from the age of 7 to teaching myself guitar, bass, drums and finally how to sing. Doing a degree in music seemed like a natural step after doing GCSE and A-Level and it wasn’t until I left University that I can honestly say I wrote my first proper song. I would consider myself a bit of a late started in the things where I think my talents lie. University was where I started to develop my voice, locking myself in my room and trying to sing ‘Gethsemane’ like Steve Balsamo was a very revealing time for me. When I turned 23, I was offered a publishing deal for my songs, I was on top of the world when just 3 months later I landed some song placements through Sony Europe and Warner Brothers in Nashville. The life of a writer however is not an easy one and it certainly wasn’t a full time job at that stage. Looking back, I didn’t have a substantial enough catalogue of songs or the maturity to do the research to create essentially hit songs. The next stage of my career was all about writing, touring and recording with an original rock band. This was a very happy time for me and my band mates, great reviews, support slots and a loyal following gave us a very stimulating few years, but again, it wasn’t enough and I started to lose faith in the music industry. My next notable foray into music brought me to musical theatre. Collaborating on new theatre pieces of my own and also performing in other new writers works, this gave me a hunger for it. 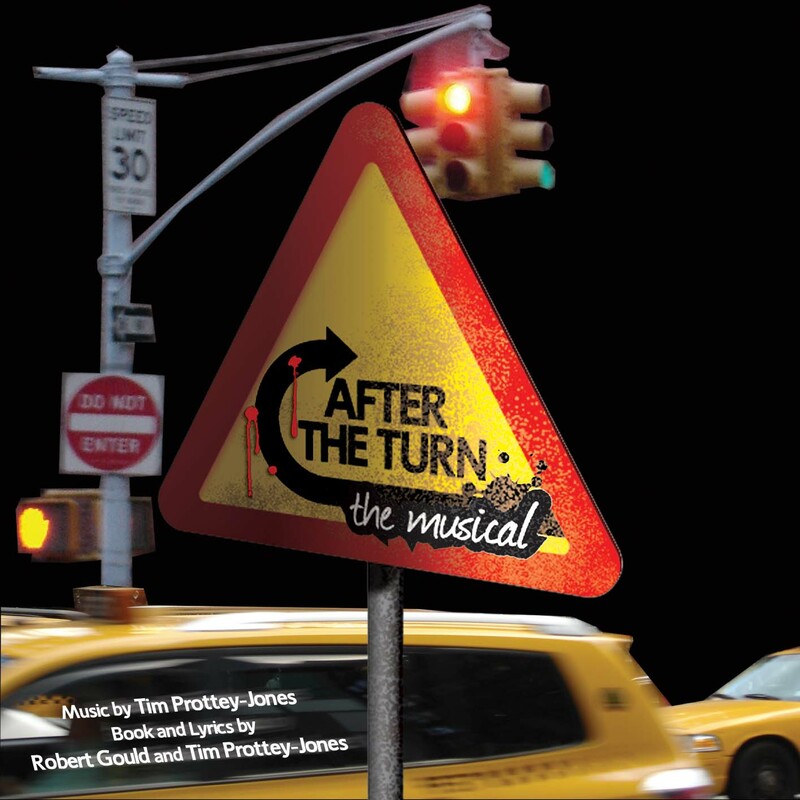 ‘After the Turn’ was developing nicely and my idea to record and release two albums of original musical theatre featuring the best voices of the West End and Broadway got me a very loyal following which I am still so grateful for to this day. Just as I was starting to settle in to a life of writing in my spare time, ‘Superstar’ came about. It was an unexpected diversion but one I am very glad to have been a part of. Until 2012, I have always had a 9-5 job. My writing and performance work had always been my 5-9 job. Now, for the first time, I am able to put in the necessary time to make sure my music and theatre work is heard. Your musical theatre writing has been especially well received particularly After the Turn: do you think that you might revisit this and develop it further? ‘After the Turn’ has new plans. If I’m honest, it’s been a labour of love as a stage musical so I’ve always strived to find a home for it that feels…right! I think I’ve found it now and all will be revealed in 2013. I am also writing a new musical with a wonderful author venturing into musical theatre for the first time. We have some wonderful backing and support for this project, so here’s hoping 2013 will be a key year for that project too. Tell us a bit about what is developing with Straight on Red – I hear there’s an album in the pipeline for this year. 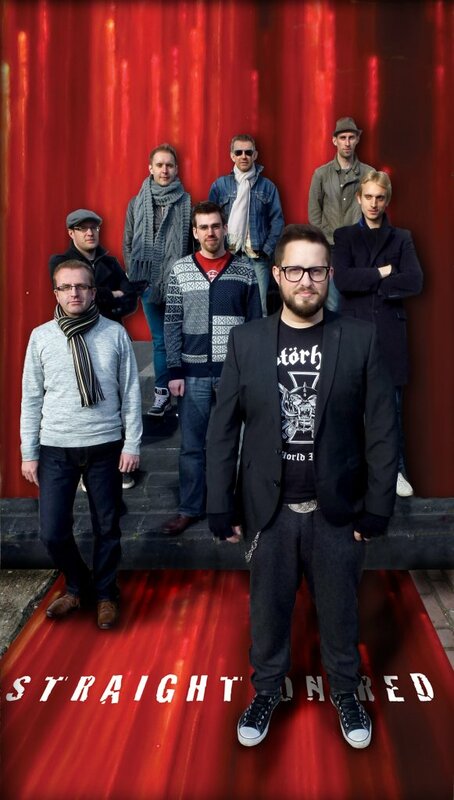 ‘Straight on Red’ is a fascinating band and project. There are 8 of us in the band, all of whom bring diverse influences and ideas to the group and hence the music can be very hard to categorise and pigeon-hole. However, there are clear funk, jazz and even rock infused aspects to the music and all I suggest is that you take a listen and judge for yourself what/who we sound like. Our self-titled debut album was released in July 2012 and we hope to have the follow up album completed later this year. You have also launched a business Demo Studio can you tell us about that? Demo studio is very much targeted at songwriters and budding composers who have ideas for songs and tracks but perhaps can’t produce them to industry standards. What I offer is a high level of musicianship, production and composition knowledge that can transform just the basis of a track recorded on an iPhone into a structured professional sounding track ready to shop to labels and publishers. I use the best vocalists, equipment and musicians to create these tracks. As part of the company, I also record and produce demos and showreels for up and coming artists/theatre performers. I’ve got to ask – what effect did your Superstar experience have on you? ‘Superstar’ was a very surreal venture. I have never had an interest in being famous or on television as my aim has always been to write music and not necessarily perform it. However, ‘Jesus Christ Superstar’ has always been a show that I connect with. I think vocally, the role of ‘Jesus’ sits very well in my range and comfort zone. Because of that, and because of my respect for the writing partnership of Andrew Lloyd Webber and Tim Rice, I wanted to put myself in for it, regardless of nerves and reticence. I genuinely loved the entire process, even if it made me a bit of a nervous wreck. I met incredible people, I was surrounded by amazing talent and my end goal had always been to appear in the Arena Tour of the show. Doing the tour was an honour and covering Tim Minchin’s Judas was a privilege. You’re about to be reunited with your fellow Superstar alumni Rory Taylor in the national tour of Rent in Concert, are you looking forward to being back onstage performing in front of massive arena audiences? Yes indeed, back with Rory! Listening to Rory sing was always a treat during ‘Superstar’, so to experience that again will be great. 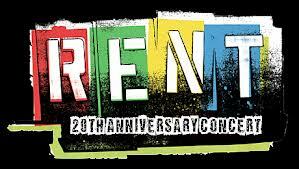 Rent is another one of those shows that is on my “Shows I’d love to be in” list. Getting back out on the road again will be great, playing some new venues and I think this tour will take me back to my earlier years of playing and touring in rock bands. I can’t wait. I get the impression that you are a bit of a workaholic – what do you do to relax? I fear you may be right! I’m fairly certain that I don’t relax or switch off. It can be hard to deal with, but I’m certainly never bored. The aim then is perhaps to get to stage in my career that I don’t have to write or work for a few days/weeks/months…but I certainly cannot sit back and expect things to come my way, so I will always strive to achieve my goals and to make a better life for me and my little family. Finally, what can we expect next from Tim Prottey-Jones? As mentioned above, 2013 could be a massive year for me and my music. The groundwork is being put in to create something very new that will test me, will push the boundaries of my writing capabilities and that will break down barriers in the musical theatre genre. I promise that I will shout it from the rooftops as soon as I’m able to announce the project so please do keep an eye and ear out. With regards to performance, I am massively looking forward to Rent, but there are also a number of shows that I would love to be a part of. My dream role is still Jean Valjean in Les Miserables.